Lili Rojas Marroquin de Corzo waited patiently for her number to be called. She sat stiffly on a wooden bench, her arms folded on her lap and her feet neatly crossed beneath her. This wasn’t the first time she had waited here. Lili's tan sweater looked rough and worn, like she had owned it for years. Her brown eyes hid behind the rectangular metal frames of her thin glasses. Her hair, a blend of gray and black, curled neatly at the nape of her neck. Her lips were thin and serious. Lili pursed her lips in contemplation as she waited to see a doctor. She was here to finally see a surgeon, so that they might treat the hernia she had been suffering from for the last three years. 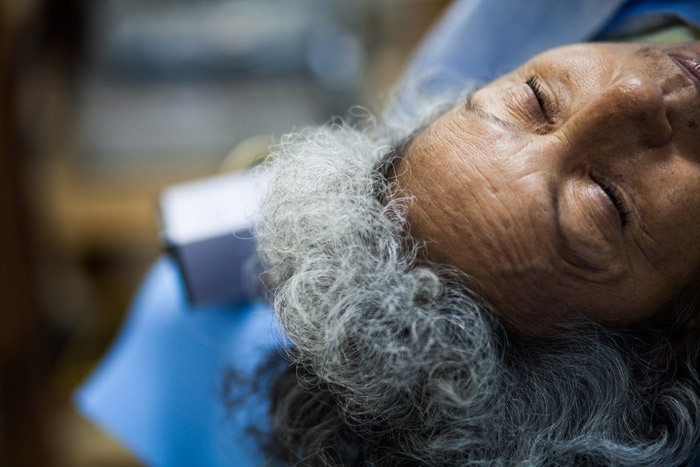 Refuge International, a nonprofit organization based in Texas, brings a team of doctors, dentists, nurses and other volunteers to Guatemala throughout the year. Their goal is to provide clean water, deworming, medical services and education for people in developing communities. 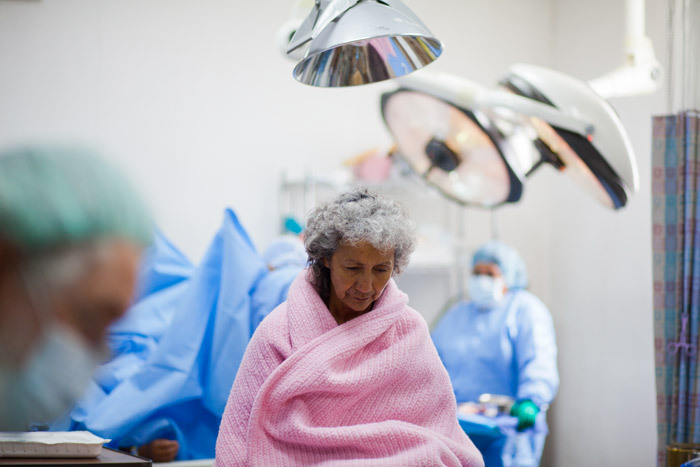 Clinics are currently set up in San Raymundo, Sarstún and Chocolá, where patients pay little for consultation or surgery. For many Guatemalan people, health care is an expensive luxury reserved for life threatening circumstances. Those who cannot afford immediate care for their illnesses or injuries learn to deal with the pain. Melido Valenzuela Godoy, a middle-aged Mayan woman, experienced pain in her shoulders, feet, ankles and back for over two years. To remedy the pain, she purchased baby aspirin since it was the cheapest pain medicine she could find. Carlos Francisco Raxon, a slender teenage boy, broke his left arm six years ago while playing soccer with his friends. The bone still protruded out of his upper bicep when he arrived at the clinic. Carlos seemed numb to the pain, but hinted a sign of misery when he lifted his colorfaded sleeve and revealed his popped bone. Most patients who visit the clinic in late February rely on missionary doctors and surgeons as their only health care providers. This means regardless of the type of injury, a patient will wait three months or more until the next mission comes into San Raymundo to be taken care of. 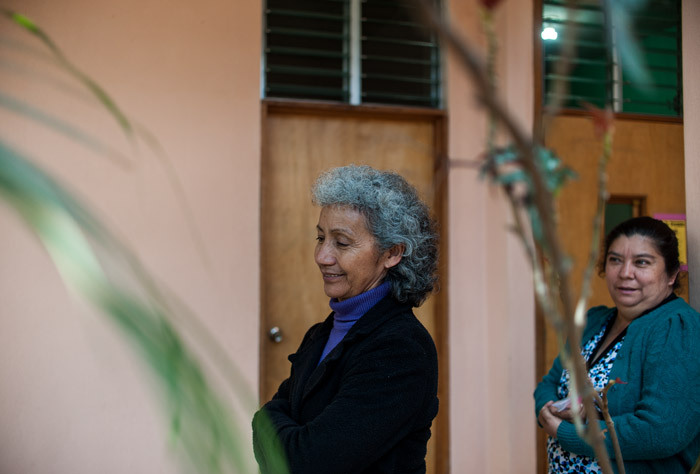 This wasn’t the first time Lili had come to the clinic in San Raymundo. One of her grandchildren had his tonsils taken out here; another had surgery to remove his gall bladder a couple of years ago. Years before ever needing the care provided by Refuge International volunteers, Lili was one of the many people giving back and taking care of others at the clinic. This wasn’t the first time Lili had come to the clinic in San Raymundo. Lili studied to be a nurse but never found a job as one. Refuge International was in its start up stages when Lili heard they needed volunteers. She made a call to the organization to tell them she was willing and able to offer her services. She was assigned to care for patients in the recovery room at nights. Bearing the strife of a startup project, the clinic was simple and bare. “The hospital wasn’t the way it is now — there were no floors and there was a lot missing,” Lili said. Lili helped the night shift team for a couple of years and eventually was unable to volunteer. She remembered her time working at the clinic as she walked up to the intake room to get ready for her surgical consultation. After her brief examination, Lili was told to return the next day. The surgeon was with other patients and wouldn’t be able to see her. Lili was scheduled to come back at 7 a.m. She was instructed to not eat in case of surgery. Lili and her husband Otoiniel Corzo, both San Raymundo residents, built a life together about 15 minutes from the clinic. Otoniel, a retired schoolteacher, seems to be a serious man. When he talks, a furrowed brow stretches above his eyes and his voice sounds stern. After a bit of conversation though, Otoniel brings out a witty banter and a smile spreads across his tan, wrinkled face. His eyes, light brown, shine almost yellow in the sun. Twice a week, Otoniel volunteers his time at the school adjacent to the clinic to teach accounting. He wants to spend the rest of his life in San Raymundo. We were born here and we will die here, God willing, he said. On Sunday, Lili and Otoniel returned for her 7 a.m. appointment. She arrived at clinic room three where nurse practitioners took her temperature and measured her blood pressure. They also checked her heart and lungs. After stopping at various points throughout the clinic, she was finally sent to a consultation with Dr. Ken Eveland, a general surgeon. “How long have you had the hernia for?” he asked. “It looks like you will be needing the operation,” he said after examining her. Lili was sent to fill out some paperwork at the front desk. She signed a hospital release form and proceeded to wait.There were several surgeries lined up before her, so she walked throughout the clinic waiting for her name to be called. At about 2 p.m., Lili was admitted into pre-OP to start her IV fluids. Lying in the pre-OP bed for about an hour, she remained calm and unnerved. Lili had seen this process before with her grandchildren and the many patients she had taken care of in this very hospital. She knew what to expect, which helped her ease her nerves. Lili was confident. The anesthesiologist walked into the room and explained the type of anesthesia that would be used on Lili during the operation. They would inject the anesthetic into her spine to sedate her from the waist down and she would be conscious during surgery. Once inside the operating room, Lili saw a familiar face. Dr. Lonette Bebensee, a general surgeon, couldn’t quite place where she had seen Lili. She vaguely remembered Lili’s face — but she was sure she had seen it over the last 11 years, serving on medical missions. Lonette asked Lili where she had seen her before. Lili responded that she had worked at the clinic before. “It’s a compliment that someone who has worked here trusts us enough to take care of her,” Lonette said. During the next hour and a half, Lili laid on the operating table. The air inside the operating room was brisk and Lili shuddered. She would open her eyes from time to time, to a sea of doctors surrounding her. She remembers a young man talking to her; he was translating questions the anesthesiologist was asking. She let her eyelids fall and drifted to sleep. During the operation, Eveland said he had a bit of trouble repairing Lili’s hernia. He said there was more fat surrounding the tissue than is usually anticipated. Nevertheless, the operation was a success. Lili was moved to the recovery room where she was constantly monitored by a team of nurses. She had little pain, but remained calm. She was transferred to a second recovery room and rest for the night. To most nurses, Lili was just another patient. Lili expressed her gratitude at how she was treated, even if the doctors and nurses didn’t know she had worked there before. In the morning, Lili looked strong. She sat up, her gray and black hair curled wildly atop her head. It was Monday morning and the doctor had just come to see her. She sat up eagerly, a smile strewn across her face after she learned about the successful operation. To the members of the community like Lili, Refuge nternational provides a service many need.